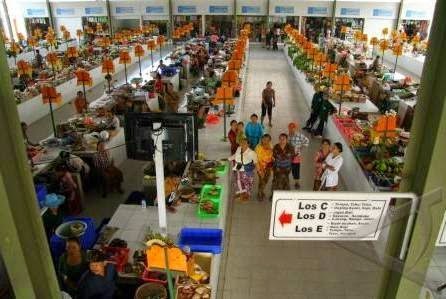 Sindhu Beach Market is a traditional market, people call it a traditional market in Bali Indonesia. But now turned into a market that is more modern, more getting clean, and neat, to support tourism activities in Sanur, Bali Indonesia. Sindhu Beach Market, one of the traditional markets in Sanur, Bali, which has been renovated and styled modern atmosphere as supporting tourism. Located near the beach of Shindu, with address is Jl. Danau Tamblingan, Sanur, Denpasar, Bali, Indonesia. Visitors can shop for souvenirs, handicrafts, clothes, household appliances, as well as groceries. When night falls, Sindhu Market turns into a very crowded market, because it is filled Balinese food vendors. Beginning Sindhu market is a traditional market very dirty. When the rainy season occurs puddles in various places. This market also looks shabby. Because this market is located in the area of tourism, the local government to renovate the entire market. So the market conditions become more clean and well ordered. This market is now more modern and clean look. During the rainy season there is no tarnish and dirt. Modern feel felt when entering the market area. Although this market is more traditional in terms of buying and selling. If the self-service all goods sold have included price, in this market all the goods can be negotiable according to ability. Sindhu market selling daily needs of local residents. Visitors who come to the Sindhu Market for day-to-day needs, ranging from rice, meat, vegetables, and so on. This market has also become a tourist attraction for foreign tourists who want to see the lives of people in the market. In the area of the market, not only to provide basic needs of citizens, there are also vendors selling souvenirs to tourists. 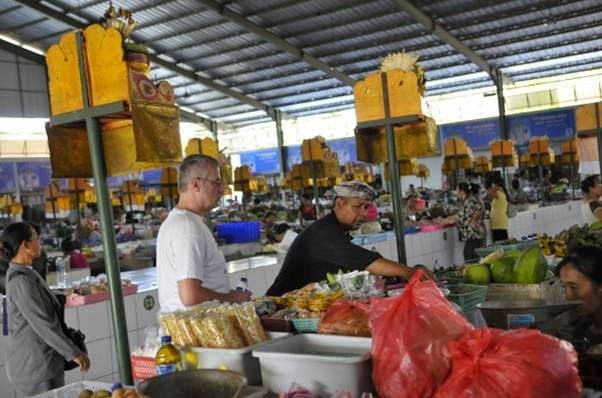 As in the Ubud market, this market has also become the economic center for residents of Sanur. Most of the buyers in this market are residents of Sanur, and some have been very long stay around Sindhu market. Besides there is a market, there is a row of shops selling souvenirs, clothing, grocery store. All these stores sell a wide range of needs of residents and tourists who shop at this market.